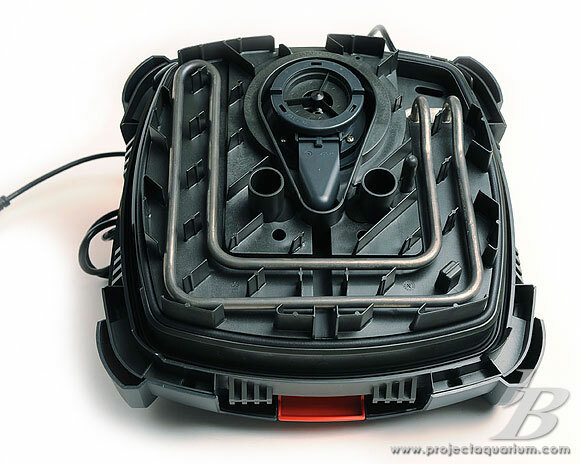 The advertised specifications for the Pro 3 boast a 450gph turnover, with a 3.5 gallon filter volume. 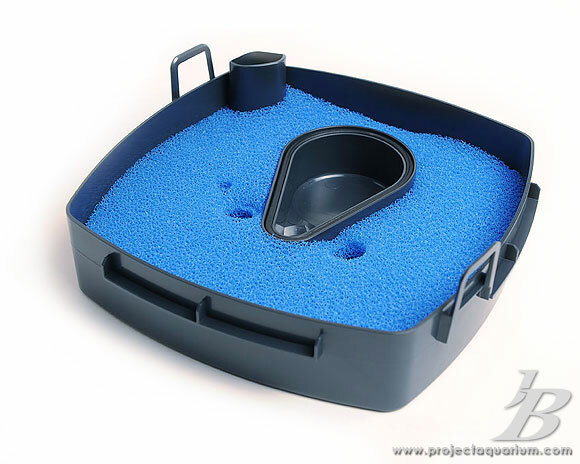 The filter is designed to handle up to 320 gallon aquariums. The 2180 model adds a 500 watt heater and controller that manage the job of heating such a large tank. With 2 intake primes, 3 huge media baskets, and a large pre-filter, this filter was ready to handle my 178 planted aquarium without flinching. 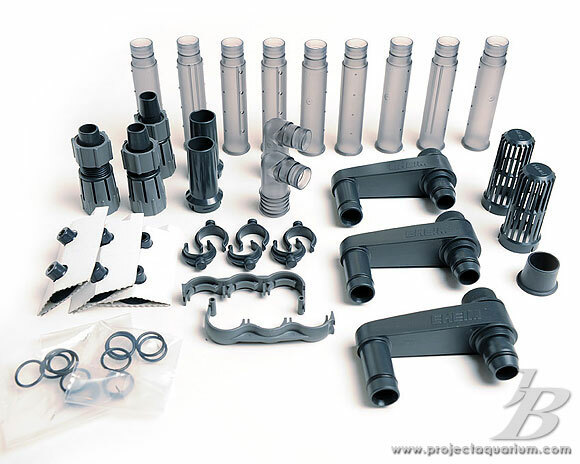 It is nice to see that EHEIM offered the black hardware kit for the intakes and return. At the premium price of $480, I would have been a little disappointed to see the old green tubes that come with the other EHEIM filters I have had in the past. Dang it!! 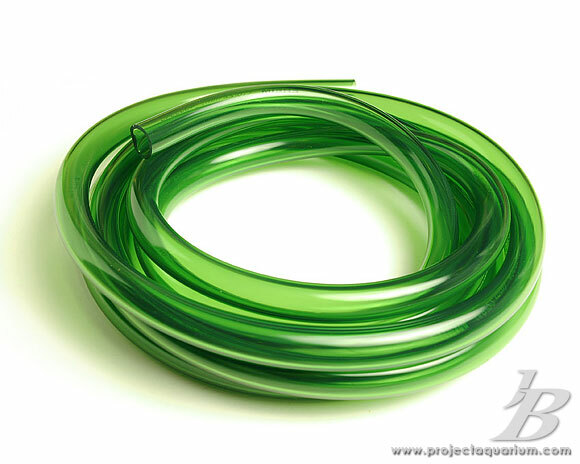 I opened my mouth too soon; here is the green filter tubing that we have all grown to love/hate. Similar to my previous experiences with EHEIM filters, they really don’t give a surplus of tubing, so measure carefully. The pre-filter sits right under the impeller and filter intake. 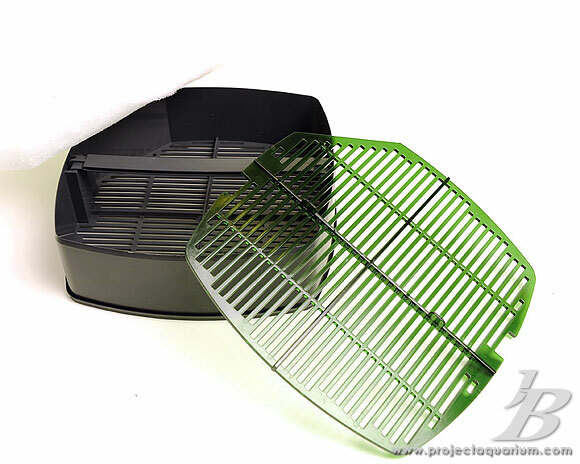 It is designed to keep the large particles from settling on the bottom of the filter. Three of these giant media bins sit inside the Pro 3. 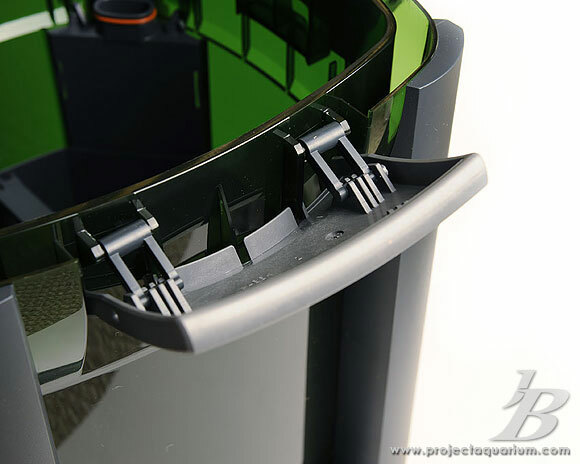 In fact, the media bins and pre-filter are so large that they do not fit inside a standard 5 gallon bucket. 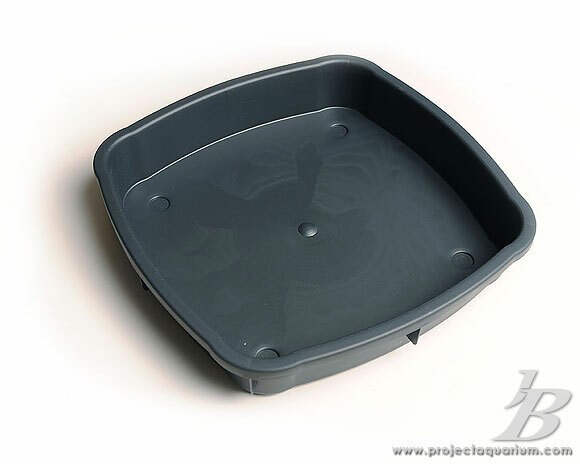 This makes them challenging to clean and/or move to a sink where they can be cleaned. EHEIM provides this bin to handle the size of the pre-filter and media bins. Looking down inside the Pro 3. The top is secured by 4 of these super hefty clamps. They snap into a locked position, and give a good feeling that things are secure and watertight. Here is a picture of the 500 watt heating coil. The triple tube adapter serves two purposes. 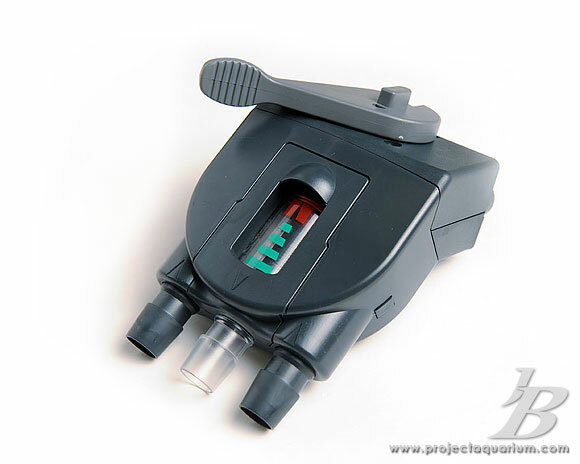 First, it controls the flow of the water through the filter. Second, it allows me to completely remove the adapter from the unit for easier cleaning. This is common on most canister filters today; however, this design does a better job than most when it comes to keeping me and my floors dry at the time of disconnect. Notice the priming pump; it works well. The LED temperature display also serves as a controller. VERY Quiet – This is unbelievable, considering the amount of water it’s moving. Inaccurate Thermometer – I found the readout 2 degrees F higher than my two external thermometers. The good thing is that it was consistently 2 degrees off, so it still provides stable temperature. 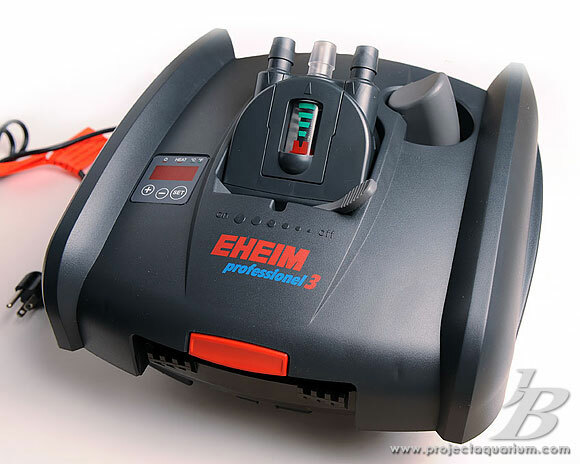 Green Tubing – Ok EHEIM, can we get away from the green? Cost – It set me back close to $500, without media! 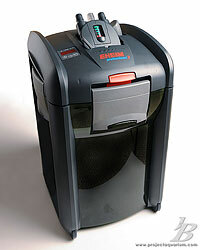 EHEIM filters have gained a lot of trust and popularity in the hobby. For the most part, I agree with this status. They come at a premium price point, but their sturdy construction and quiet running volumes set them apart from the pack. Generally, if you are on a budget, you can achieve the same goals for half the price with another filter (the XP series from Rena comes to mind). 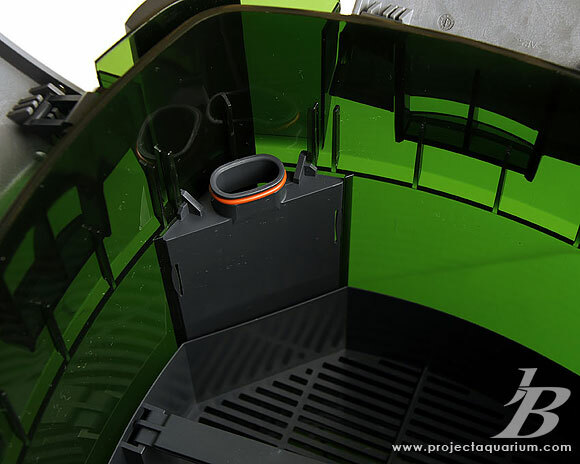 That said, when filtering a large aquarium, the Pro 3 might set itself apart due to its construction, low noise, and volume. The price tag hurts the wallet, but when it comes to its specific use and how well it handles the job, it’s well worth the money.